Regenerative Medicine Minnesota announced the 2019 Regenerative Medicine Minnesota Research Awards, which includes seven Mayo Clinic investigators. This year’s research grants are aimed at developing better therapies for people with diabetes, cartilage injury, heart disease, cancer, chronic obstructive pulmonary disease, spinal cord injury, neurological disorders and age-related macular degeneration. The grants are awarded to investigators in the areas of discovery science, translational research and clinical trials. They are effective for a two-year period. In 2014 the Minnesota Legislature created Regenerative Medicine Minnesota as a joint venture between the University of Minnesota and Mayo Clinic with the goal of establishing infrastructure and supporting research that would bring the benefits of regenerative medicine to the citizens of the state. Dr. Finnoff, a physical medicine and rehabilitation specialist at Mayo Clinic Sports Medicine, is studying the development of a more effective form of platelet rich plasma (PRP) for musculoskeletal injuries and diseases. Catabolic factors within the PRP will be removed in an effort to enhance the regenerative potential of the PRP. 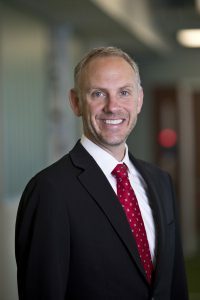 Dr. Griffiths is a veterinary cardiologist, cardiovascular surgeon and research scientist focused on identifying and overcoming immunological barriers in organ transplantation. His research project aims to develop a safe and effective off-the-shelf vessel replacement material for use in coronary artery bypass graft (CABG) procedures to overcome limitations associated with current approaches. Dr. Hickson, a nephrologist, is researching mesenchymal stromal cell transplantation for diabetic kidney disease (DKD) — the most common cause of kidney failure in the United States. The study will assess the safety, tolerability, feasibility and early efficacy signals that relate to response to intra-arterial kidney delivery of patient-derived adipose tissue-derived mesenchymal stromal cells in patients with DKD. A current barrier in leukemia treatment is the rise of drug-resistant mutations in the genome of cancer cells, which makes many well-designed cancer drugs ineffective over time. Dr. Hu is researching the development of a novel method of killing leukemia cells by inducing them to expel their nuclei in order to address this issue. Dr. Jang is an associate professor of neurologic surgery and assistant professor of biochemistry and molecular biology. Cognitive dysfunction is a major adverse effect of chemotherapy, severely impacting quality of life for cancer survivors. Dr. Jang is researching whether targeting the adenosine A2A receptor (Adora2a) is an effective regenerative strategy in promoting dendrite spine regeneration and improving chemotherapy-induced cognitive dysfunction. The outcome of her work will provide an etiology of chemotherapy-induced cognitive dysfunction and a novel regenerative strategy for the development of effective therapy. Dr. Taneja, an immunologist, is studying the treatment of emphysema in mice with a novel human oral bacterium (isolated in our laboratory), which is known to be lacking in chronic obstructive pulmonary disease patients. Because this bacterium are present in healthy individuals, the hope is that this treatment will improve lung function altered by smoking. Dr. Warrington is a research scientist and an assistant professor. He has worked to develop human antibodies as drugs to encourage new myelin and to protect brain and spinal cord cells in patients with demyelinating disease. His research will investigate whether a human antibody currently in early-stage clinical trial in patients with multiple sclerosis, may benefit patients with spinal cord injuries.